I was going to say “Rhinebeck haul,” but I didn’t really buy that much! Thank goodness for my cranky 3-year-old. 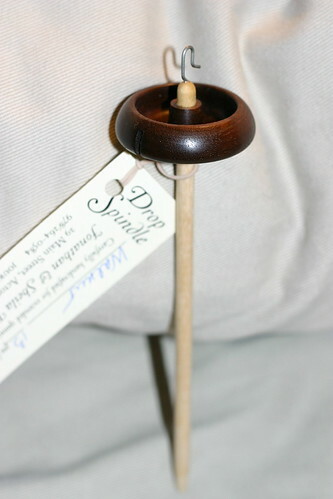 First up is this gorgeous little walnut featherweight spindle I bought directly from the Bosworths. It weighs 0.46 oz and has a perfectly balanced spin. 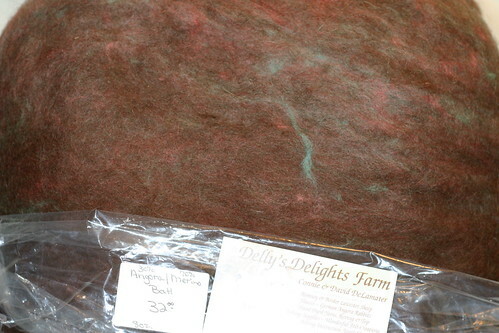 Next is some really lovely and soft merino/angora (80/20) from Delly’s Delights Farm, an 8oz batt. 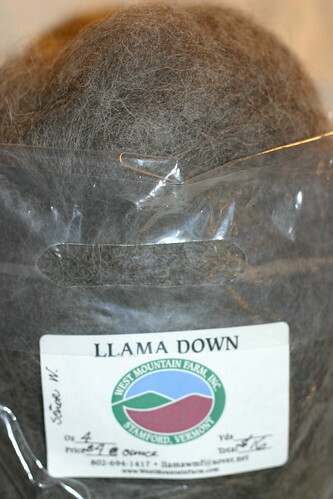 Lastly, some llama down from Lars of West Mountain Farm. He rubbed it on Edith’s (our au pair) cheek and said it’s a great way to meet girls, then called himself a dirty old man. What a character! The photo cannot capture how soft this stuff is!